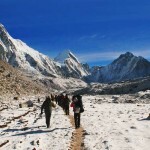 If you ask any trekker or traveler for his/her bucket list, Everest Base Camp Trek would definitely be in the top five. Why shouldn’t it be? This is the holy grail of trekking. This is as close a one could get to the tallest peak in the world, interact with the summiteers, climbers and other trekkers from different corners of the globe, breathe the adventure along with the cold nippy air, feast on the local delicacies and the staple dal-bhat (rice and lentils) discover the Sherpa culture and learn to appreciate their way of life and the hardships they go through. At the end of it, of course, achieve the bragging rights of having trekked so high and come close to Mt. 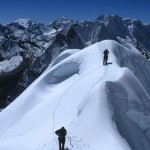 Everest, only a miniscule percentage of the world population has achieved.